New 6V6GT from the Tesla/JJ factory. Clean with smooth clear high end. Well-defined bass notes. Very controllable distortion. 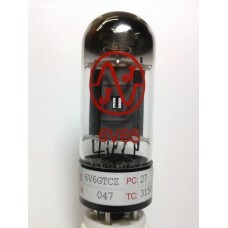 If you are a guitar picker with a love for tone, try a set of these outstanding tubes.